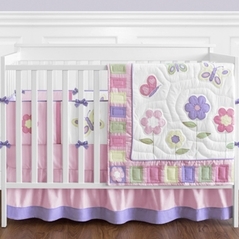 Yellow Crib Bedding can turn a dark room into a sunny room faster than you can say, "Good Morning, Sunshine!" (Well, it might take a little longer to make the bed!) Walking into a bright or soft yellow nursery room can turn anyone’s frown upside down. 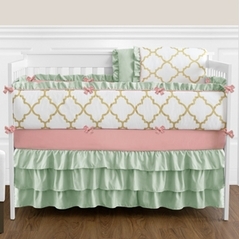 Yellow baby bedding is a great versatile color to choose for a baby boy or girl. 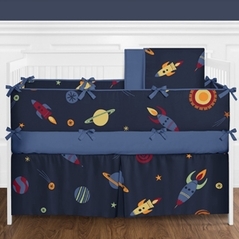 Check out our popular Bumble Bee crib bedding or our Jungle Baby Bedding Most people looking for navy blue and yellow girls bedding are very satisfied with our bumble bee sets. 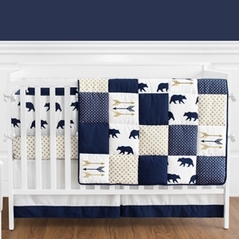 For your baby boy or girl take a look at the Fun Checks crib set incorporating shades of yellows, blues, and greens making it easy to coordinate wall color and room accessories. 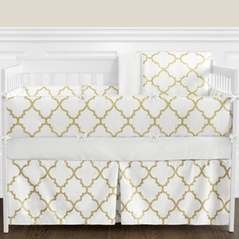 Imagine yellow bedding in a cozy yellow nursery keeping your baby warm and happy on a rainy day. 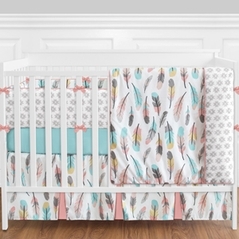 Yellow, pink, and blue baby bedding sets are all great colors to go with, when you coordinate yellow crib bedding with other colors the possibilities are endless. 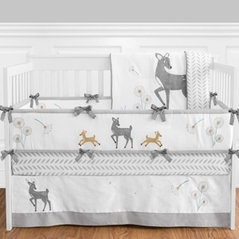 And don't forget those accessories to spice up the yellow nursery bedding in the room.